Every year, you have an opportunity during the Medicare Annual Election Period (AEP) to review existing coverage, compare options and make necessary changes. Why? Access – Will your preferred doctors and hospitals accept your insurance next year? Are all of your medications covered in 2019? By having the most cost-effective health and/or drug insurance plan, you could save hundreds of dollars per year, gain additional benefits, and even expand your health provider selection. Know your options. October 1 – October 14: Updated plan information becomes available. You can start researching and comparing options. October 15 – December 7: You can make changes to your Medicare health plan for next year. January 1: Changes made during AEP will go into effect. What can you do during the Medicare Annual Election Period? You can make as many changes desired during AEP. The last change made before December 7 will take effect on the first of the year. 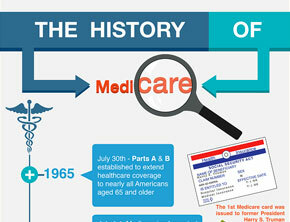 We would be happy to answer any questions you have about Medicare’s Annual Election Period. We want to help you understand your options and help you find the right plan, for your needs and budget. There is no additional cost for our services. Call 1-800-992-7724 or Request Your Free Quote today!! !